Book Code: J, P VVT. No pictures found for plate number 116859 in Delaware, United States. click here to add a picture. No videos found for plate number 116859 in Delaware, United States. click here to add a video. 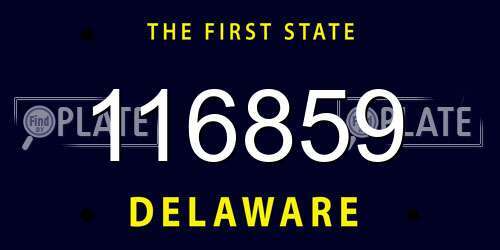 No owners found for plate number 116859 in Delaware, United States. click here to add an owner. No related websites found for plate number 116859 in Delaware, United States. click here to add a related website. General Motors LLC (GM) is recalling certain model year 2015 Chevrolet Cruze vehicles manufactured September 24, 2014, to May 29, 2015. In the affected vehicles, one of the driver-side seat belt assembly bolts may not be properly tightened. An insufficiently torqued bolt may prevent the seat belt from holding the required load in a crash, increasing the risk of injury. GM will notify owners, and dealers will inspect and tighten the bolts, free of charge. The recall began on January 27, 2016 Owners may contact Chevrolet customer service at 1-800-222-1020. GM's number for this recall is 15777. 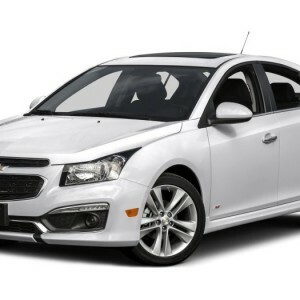 General Motors LLC (GM) is recalling certain model year 2014-2015 Chevrolet Cruze vehicles manufactured November 8, 2013, to March 12, 2015, and 2015 Chevrolet Volt vehicles manufactured April 11, 2014. In the affected vehicles, the inner tie rod may not be tightened to specification allowing the tie rod to separate from the steering gear. Separation of the tie rod from the steering gear could result in the loss of steering, increasing the risk of a crash. GM will notify owners, and dealers will replace the steering gear assembly, free of charge. The recall began on July 28, 2015. Owners may contact Chevrolet customer service at 1-800-222-1020. GM's number for this recall is 15386. General Motors LLC (GM) is recalling certain model year 2015 Chevrolet Cruze vehicles manufactured February 4, 2015, to February 9, 2015. The left-rear or right-rear parking brake cable brackets may not have been properly fastened during the assembly process. As a result, the fastening bolts may back out completely, causing the parking brake bracket to separate and the parking brake to not hold the vehicle in place. As such, these vehicles fail to comply with the requirements of Federal Motor Vehicle Safety Standard (FMVSS) No. 135, "Light Vehicle Brake Systems." If the parking brake bracket separates, the parking brake may not hold the vehicle, increasing the risk of a vehicle roll away and a crash. GM will notify owners, and dealers will inspect the left-rear and right-rear parking brake brackets bolts, tightening them as necessary, free of charge. The recall began in March 24, 2015. Owners may contact Chevrolet customer service at 1-800-222-1020. GM's number for this recall is 15135.